﻿ How to choose 40G QSFP+? AOC, DAC or Transceiver? How to choose 40G QSFP+? AOC, DAC or Transceiver? 40Gbps QSFP+ ports are very popular in IDC. Then, do you know how to choose the most suitable product for your networking infrastructure? It refers to the link length, fiber applied, devices to be connected etc. Faster Transmission: as it is no need to switch between optical to electronic signals. It is easy to realize the connectivity between two 40G switches or connect one 40G and 10G switches by QSFP+ breakout cables(QSFP-4SFP10G-CU1M). For 1~100m link length, 40G QSFP+ AOC is preferable for data center. QSFP+ AOC is consist of two QSFP+ transceivers and one 8-core fiber cable, with laser components inside, cable and connector are fixed, which meets the data centers' usage habit, needless to consider the plug in or plug out of patch cords. The cables of AOC are thin and AOC has better bend radius than DAC, so if the data centers don't have enough space for cabling, AOC is a good choice. Also because the AOC cable is thin and space-saved, the switches will have more room for air flow and easy for cooling system. AOC always has a good eye pattern, and its performance is very good. It can meet up to 100m on OM3 MMF or up to 150m on OM4 MMF. Once it's short distance connection of 1m~150m, you could adopt 40G QSFP+ SR4 optic. It offers 4 independent signal channels each capable of 10Gbps, over 100 meters on OM3 or over 150 meters on OM4. As a transceiver, it always supports DD function. Enterprise network always uses this solution. When the link length is less than 300m, 40G QSFP+ eSR4 module is suggested to use. QSFP+ eSR4 supports link lengths of up to 300 meters and 400 meters on laser-optimized OM3 and OM4 MMF respectively. If your link length is long about 2km, please use 40G QSFP+ IR4 transceiver. 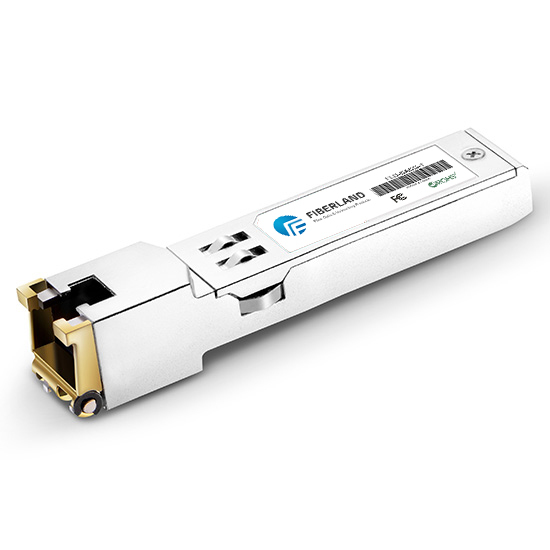 40G QSFP+ IR4 module supports link lengths of up to 2 kilometers over a standard pair of G.652 single-mode fiber (SMF) with duplex LC connectors. For long distance connection of 10km, the 40GBASE-LR4 QSFP module supports link lengths of up to 10 kilometers over a standard pair of G.652 single-mode fiber with duplex LC connectors. The 40 Gigabit Ethernet signal is carried over four wavelengths. Multiplexing and demultiplexing of the four wavelengths are managed within the device. This is applied when you connect two 40Gb devices. If you would like to connect a 40G switch and a 10G switch away from each other 10km, 40G QSFP+ LR4 PSM module is the solution, which is available to link with 4 10G devices on MPO to 8LC patch cord cables(SMF), as solution picture below. 40G QSFP+ LX4 transceiver is a hot star, as it can work with MMF or SMF. It's role has been a very good play especially when used in lines that do not know what cable used. When QSFP+ LX4 module works with OM3, it supports up to 150m on OM3. When QSFP+ LR4 module connects with SMF, it supports up to 2km. Finally, which brand should we choose for the 40G QSFP+ AOC, DAC and transceivers? Cisco, H3C, Juniper etc. are the most common brands, however products of these brands can only be applied in the corresponding switches. And the price of original pieces are super high, that caused there are renewed, recycled and even fake products in market. Here I recommend you two companies: Finisar and Fiberland, which are the leading optical communication products manufacturers. Fiberland's products can be coded according to the switch model. They can satisfy most of the switches in the current market.